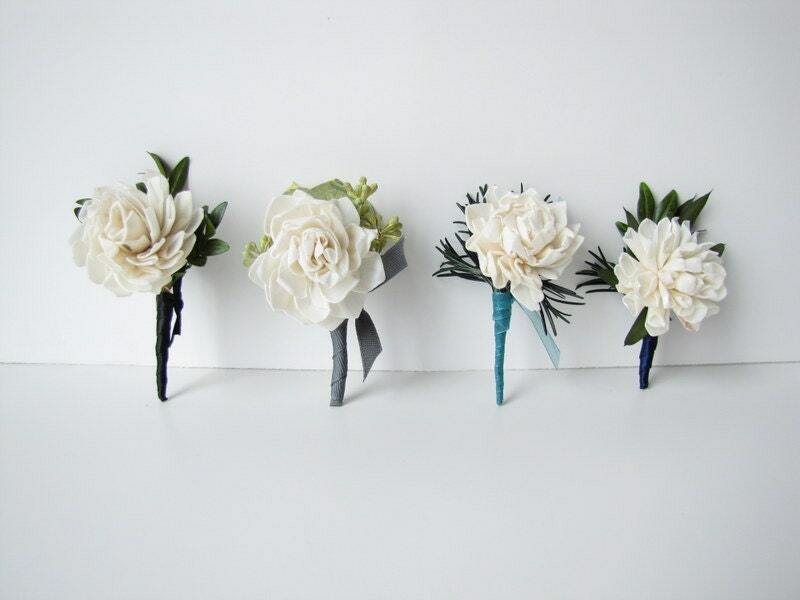 These pin on corsages and boutonnieres are great for anyone who wants a simple look that will make a statement. You can customize them with the ribbon color of your choice to coordinate with your event. They are made with a miniature dahlia sola flower, preserved greenery of your choice along with the ribbon color of your choice. 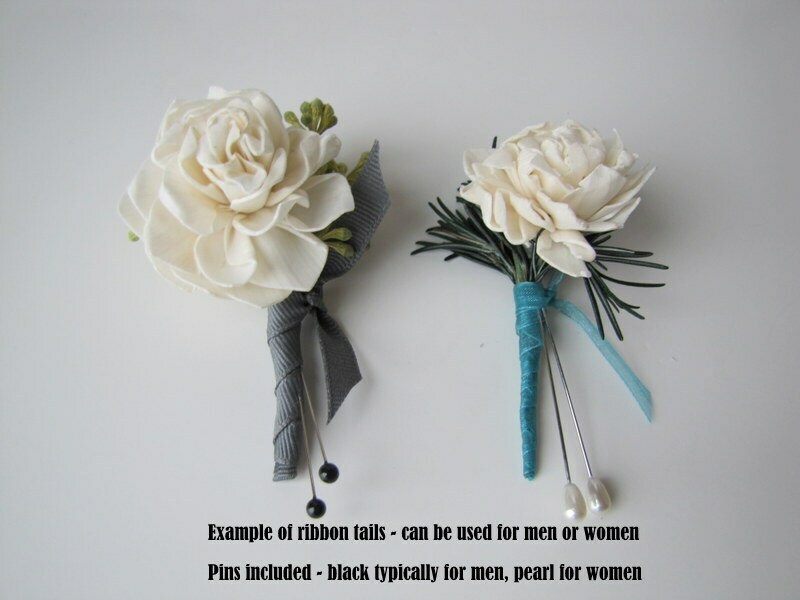 Each one will be shipped with two black boutonniere pins or pearl tipped corsage pins. Sola flowers look like fresh flowers but they are not. 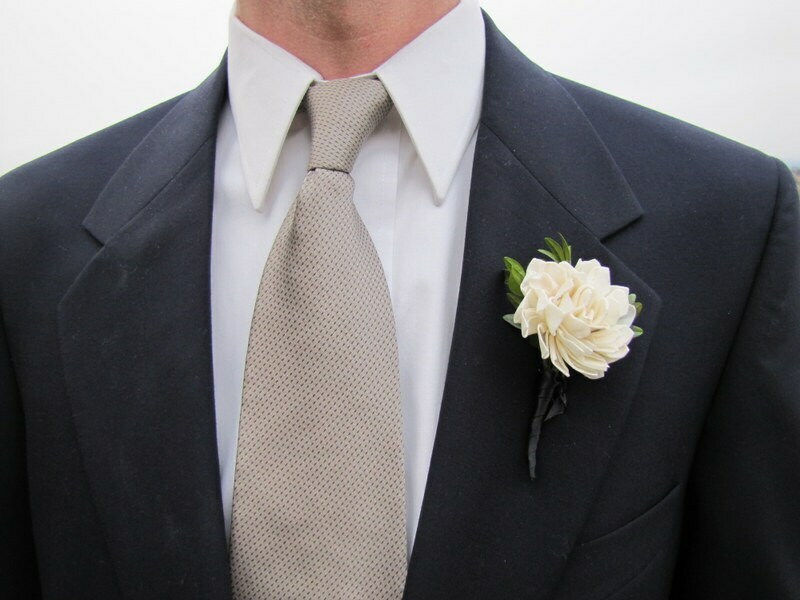 They are hand made with soft balsa or tapioca wood which makes this boutonniere a great keepsake after the event! 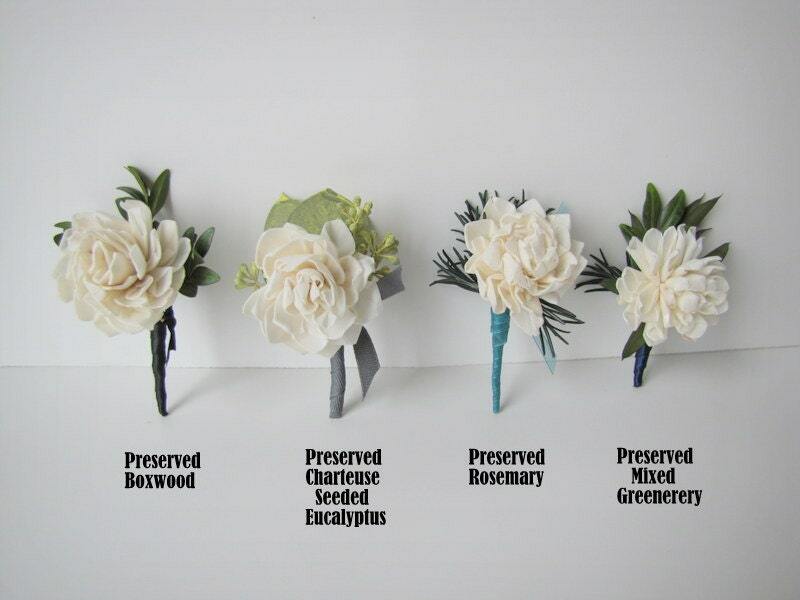 At checkout, you will be given the option of choosing your greenery, ribbon color and the option of having the ribbon tied with tails, or no tails. See images in listing for examples. 1. If you chose "other" for ribbon color, please specify what color you would like. 2. 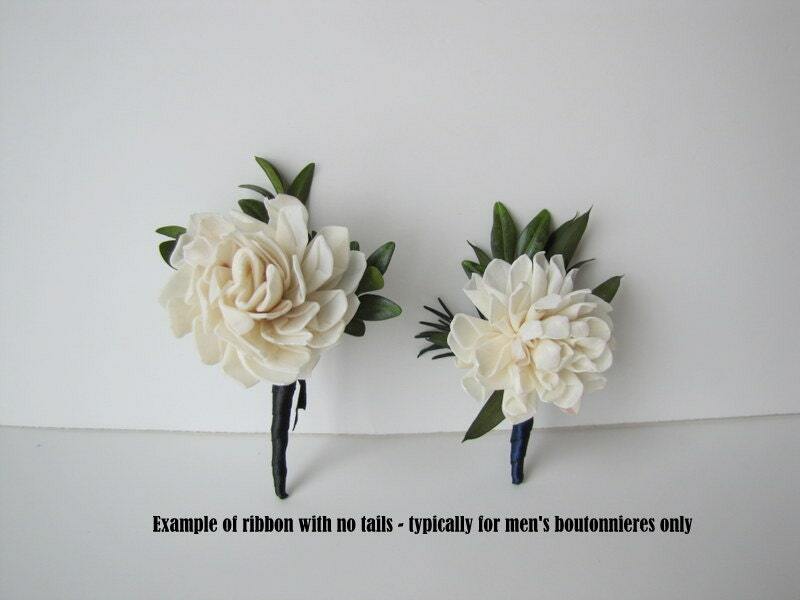 If they will be used as a men's boutonniere or women's pin on corsage. I do my best to ship these to you with as little damage as possible. I do this by double boxing most of my items. The rosemary smells amazing and it was well made. Seems very sturdy and will look great on my husband for our wedding! I ordered a corsage and boutonniere. They came very fast and I was so pleased with what I got. I will definitely order from this shop again!